Welcome to our widow sponsorship page.100% of all donations go directly to the mission fields. Here you will be able to sponsor a needy widow of your choosing. You choose what you would like to donate monthly as it will provide life-saving necessities to these precious widows. Most importantly, we give them Living Water. Scroll through the widows below and bless them. 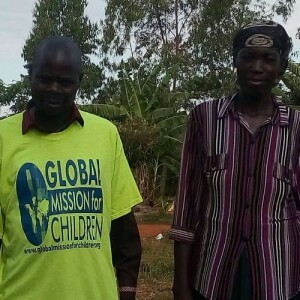 Just a couple dozen US dollars monthly makes a world of difference in areas where the average monthly income is about $50.The sponsorship program is a church based ministry and is designed to connect widows to the local church fellowship. While sponsorship is a one to one relationship between you and your sponsored widow, the program benefits other widows and their community. Mary is in need of a sponsor to help her with the necessities so many of us take for granted. Living in one of the poorest countries on earth, Kenya, it's incredibly hard on a widow! Please pray to sponsor Mary today. God bless those who obey His commands. Living in the incredibly impoverished country of Kenya in incredibly tough. Being a widow in Kenya is about as hard as it gets as they are they, for the most part, are treated inhumanely and shunned by the community at large. Please pray to help dear Christine pay for the necessities of life in Jesus name. SegaSiayaKenya ​Christine Awino67 Years OldFemaleLiving_in_the_incredibly_impoverished_country_of_Kenya_in_incredibly_tough._Being_a_widow_in_Kenya_is_about_as_hard_as_it_gets_as_they_are_they,_for_the_most_part,_are_treated_inhumanely_and_shunned_by_the_community_at_large._Please_pray_to_help_dear_Christine_pay_for_the_necessities_of_life_in_Jesus_name. Janepher is 65 years old and struggles greatly to survive in Kenya. Widows are treated horribly, like outcasts, even by their own families. Please pray to sponsor this precious soul for any amount you choose monthly. God bless you for your obedience. The treatment of widows is horrible in Kenya. Loko is 63 years old & has seven children, three boys and four girls. 2 boys and 2 girls are married but none of them are educated because of poverty in their family. This old mother is struggling because she has no one to support her. She has no shelter and struggles for food. Consider sponsoring her monthly for any amount purposed in your heart. Tume is 34 years old and is a very needy widow. She lost her husband 4 years ago due to a short illness. She has five children, two boys and three girls. Since her husband died, the remaining family does not care about her, this is typical for Kenya. We found her as we were evangelizing in the hospital praying for sick people. She was recovering but she was staying in the hospital because of hospital bill, nobody could pay. We prayed for her and God opened the door and she went home after three days later. She has need of medical, shelter and food to provide her children. You can choose the monthly amount you would like to donate. God bless. 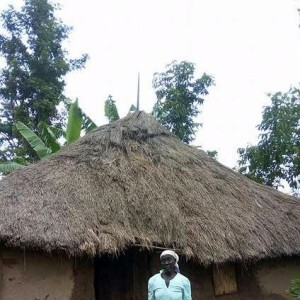 SololoMoyaleKenya Tume Roba34 Years OldFemaleTume_is_34_years_old_and__is_a_very_needy_widow._She_lost_her_husband_4_years_ago_due_to_a_short_illness._She_has_five_children,_two_boys_and_three_girls._Since_her_husband_died,_the_remaining_family_does_not_care_about_her,_this_is_typical_for_Kenya._We_found_her_as_we_were_evangelizing_in_the_hospital_praying_for_sick_people._She_was_recovering_but_she_was_staying_in_the_hospital_because_of_hospital_bill,_nobody_could_pay._We_prayed_for_her_and_God_opened_the_door_and_she_went_home_after_three_days_later._She_has_need_of_medical,_shelter_and_food_to_provide_her_children._You_can_choose_the_monthly_amount_you_would_like_to_donate._God_bless. Elema lives in a remote area of Northern Kenya with no electricity or running water. She lives in a mud hut with her three children, two boys and one girl. She is a very strong woman and needs help to provide for her children in this incredibly impoverished part of the world. Pray to sponsor her as 100% goes directly to the mission field. 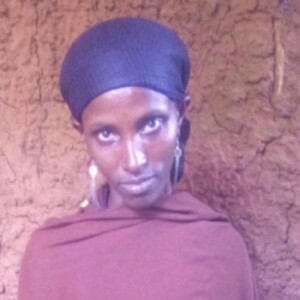 SololoMoyaleKenya Elema Halake29 Years OldFemaleElema_lives_in_a_remote_area_of_Northern_Kenya_with_no_electricity_or_running_water._She_lives_in_a_mud_hut_with_her_three_children,_two_boys_and_one_girl._She_is_a_very_strong_woman_and_needs_help_to_provide_for_her_children_in_this_incredibly_impoverished_part_of_the_world._Pray_to_sponsor_her_as_100%_goes_directly_to_the_mission_field. Kini is a poor 50 year old widow. She lives at Dhulipur in Satkhiara Bangladesh. She is a believer & has a problem with her left leg. Four years ago she got an accident as a motorbike hit her leg. She can’t walk properly & that's why she can’t work. She has two sons and 2 daughters & she lives with her younger son. He is very poor and has two children. His main income is making baskets by bamboo & he can’t support his family with this little income so he can’t buy medicine for his mother. She lives in a broken house and is praying for a monthly sponsor of any amount. DhulipurSatkhiaraBangladesh ​Kini Dasi50 Years OldFemaleKini_is_a_poor_50_year_old_widow._She_lives_at_Dhulipur_in_Satkhiara_Bangladesh._She_is_a _believer_&_has_a_problem_with_her_left_leg._Four_years_ago_she_got_an_ accident_as_a_motorbike_hit_her_leg._She_can’t_walk_properly_&_that's_why_ she_can’t_work._She_has_two_sons_and_2_daughters_&_she_lives_with_her_ younger_son._He_is_very_poor_and_has_two_children._His_main_income_is_ making_baskets_by_bamboo_&_he_can’t_support_his_family_with_this_little_ income_so_he_can’t_buy_medicine_for_his_mother._She_lives_in_a_broken_ house_and_is_praying_for_a_monthly_sponsor_of_any_amount. Mono Bala is a poor widow who lives at Dhulipur, Satkhiara Bangladesh. She is a believer and has a problem with her right hand and she can’t hard work. She has two sons and one daughter & lives alone. She has a small, broken house & sometimes works at other’s houses as a servant. 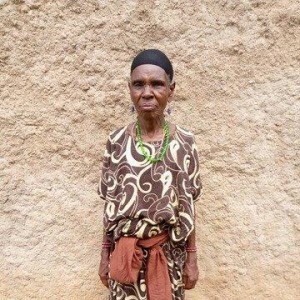 She leads a painful life and would be greatly blessed to have a sponsor to help with the monthly necessities of life. You choose the amount as every dollar helps. DhulipurSatkhiaraBangladesh Mono Bala55 Years OldFemaleMono _Bala_is_a_poor_widow_who_lives_at_Dhulipur,_Satkhiara_Bangladesh._She_is_a_believer_and_has_a_problem_with_her_right_hand_and_she_can’t_hard_work._She_has_two_sons_and_one_ daughter_&_lives_alone._She_has_a_small,_broken_house_&_sometimes_works_at_other’s_houses_as_a_servant._She_leads_a_painful_life_and_would_be_greatly_blessed_to_have_a_sponsor_to_help_with_the_monthly_necessities_of_life._You_choose_the_amount_as_every_dollar_helps. Varoti Dasi is a poor Christian widow from Bangladesh. She lives with her son but he can’t run his family as his income is very poor. He can’t take care to his mother properly. They have a small broken house and she stays in the corridor. Please help the "least of these our brethren" with a monthly donation of your choosing in Jesus name. DhulipurSatkhiaraBangladesh ​Varoti Dasi52 Years OldFemaleVaroti _Dasi_is_a_poor_Christian_widow_from_Bangladesh._She_lives_with_her_son_but_he_can’t_run_his_ family_as_his_income_is_very_poor._He_can’t_take_care_to_his_mother_ properly._They_have_a_small_broken_house_and_she_stays_in_the_corridor._Please_help_the_"least_of_these_our_brethren"_with_a_monthly_donation_of_your_choosing_in_Jesus_name. 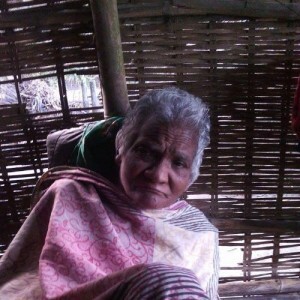 Ranuka Das is a poor 55 year old widow who lives at Machiara in Tala Bangladesh. She is a Christians and lives alone in a small broken house. She works at others homes as a servant and would be so thankful if someone would sponsor her monthly to buy necessities, any amount would be a great blessing. Every week she joins our church service. Praise Jesus! 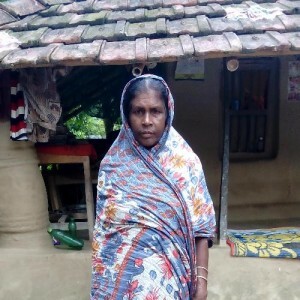 MachiaraTalaBangladesh ​Ranuka Das55 Years OldFemaleRanuka _Das_is_a_poor_55_year_old_widow_who_lives_at_Machiara_in_ Tala_Bangladesh._She_is_a_Christians_and_lives_alone_in_a_small_broken_house._She _works_at_others_homes_as_a_servant_and_would_be_so_thankful_if_someone_would_sponsor_her_monthly_to_buy_necessities,_any_amount_would_be_a_great_blessing._Every_week_ she_joins_our_church_service._Praise_Jesus! 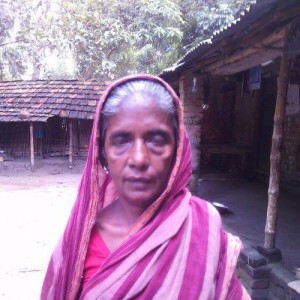 Prache is a very poor 59 year old Christian widow who lives in Machiara, Tala Bangladesh. She lives with her son in a small broken house. She can’t work & depends on her son, they are impoverished as this is a extremely poor part of the world. Please consider sponsoring her for any amount monthly. She would be eternally grateful. 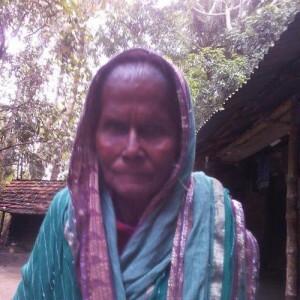 Pranti Dasi is a poor, 60 year old Christian widow from Bangladesh. She is alone. She lives alone in very a small broken house and works any odd-job she can to buy food. Any amount monthly would be an incredible blessing to this precious soul. 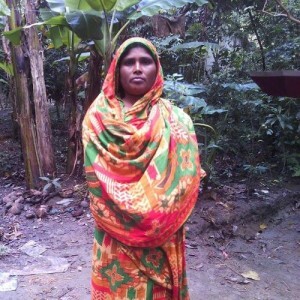 Kushalla Das is a poor, Christian widow from Machiara,Tala Bangladesh. She has great pain in her hands and can’t work. She lives in a small hut with her son who is also very poor. Please pray to help this precious soul with monthly necessities she needs to survive. You choose the amount as every dollar counts. God bless. 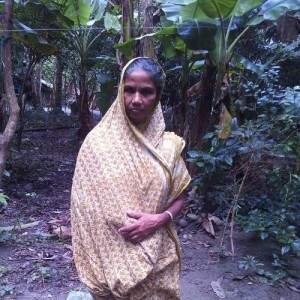 Sondha is an impoverished 60 year old Christian widow who lives in Machiara,Tala Bangladesh. She can’t work and lives with her son. They are very poor and live in a small hut. She stays in a corridor. Please pray to help this widow in her time of need. Matthew 25:33-46. MachiaraTalaBangladesh ​Sondha Das60 Years OldFemaleSondha_is_an_impoverished_60_year_old_Christian_widow_who_lives_in_Machiara,Tala_Bangladesh._She_can’t_work_and_lives_with_her_son._They_are_very_poor_and_live_in_a_small_hut._She_stays_in_a_corridor._Please_pray_to_help_this_widow_in_her_time_of_need._Matthew_25:33-46. Roseline is a 35 year old widow who lives in one of the poorest places on earth, the Kibera Slums of Nairobi. Kenya. She was left with 5 children & is rejected by relatives, a sad trend for widows in Kenya. Pray to help her take care of her children as they struggle for food and shelter. Eunice is a 30 year old widow and lives in the impoverished Kibera Slums in Nairobi, Kenya. She was left with 4 children when her husband died od AIDS and struggles for just one meal daily for her and her children. Please pray to help her on a monthly basis by becoming a sponsor in Jesus name. Any amount helps in one of the poorest places on earth. 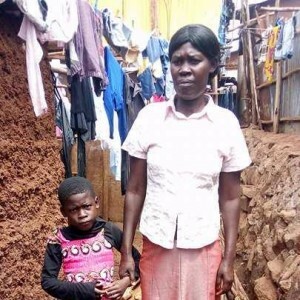 KiberaNairobiKenya Eunice Adhiambo30 Years OldFemaleEunice_is_a_30_year_old_widow_and_lives_in_the_impoverished_Kibera_Slums_in_Nairobi,_Kenya._She_was_left_with_4_children_when_her_husband_died_od_AIDS_and_struggles_for_just_one_meal_daily_for_her_and_her_children._Please_pray_to_help_her_on_a_monthly_basis_by_becoming_a_sponsor_in_Jesus_name._Any_amount_helps_in_one_of_the_poorest_places_on_earth. Jenipher is a widow that has bad problems with her eyes. She is incredibly poor and resides in the remote village of Sega, Siaya, Kenya. Any amount monthly will help this precious soul with the very basic necessities of life. Join us in helping her as we minister Christ. God bless you. 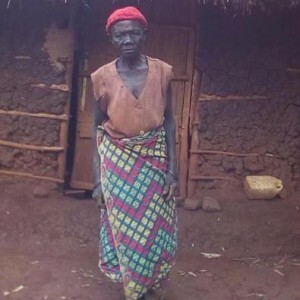 SegaSiayaKenya ​Jenipher Akoth59 Years OldFemaleJenipher_is_a_widow_that_has_bad_problems_with_her_eyes._She_is_incredibly_poor_and_resides_in_the_remote_village_of_Sega,_Siaya,_Kenya._Any_amount_monthly_will_help_this_precious_soul_with_the_very_basic_necessities_of_life._Join_us_in_helping_her_as_we_minister_Christ._God_bless_you. 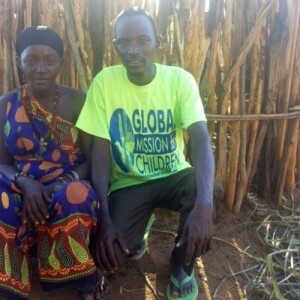 Mary, one of the "least of these", is a widow with 4 children in need of monthly support. Not only is she poor, she is also HIV positive which makes life very difficult in a remote village in Kenya. Pray to sponsor this precious soul and you choose the donation amount Any amount will be an incredible blessing to sister Mary. God bless! 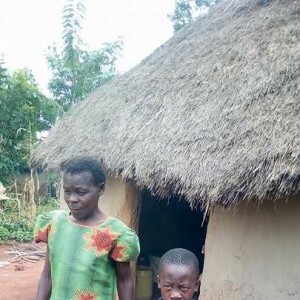 SegaSiayaKenya ​Mary Akello46 Years OldFemaleMary,_one_of_the_"least_of_these",_is_a_widow_with_4_children_in_need_of_monthly_support._Not_only_is_she_poor,_she_is_also_HIV_positive_which_makes_life_very_difficult_in_a_remote_village_in_Kenya._Pray_to_sponsor_this_precious_soul_and_you_choose_the_donation_amount_Any_amount_will_be_an_incredible_blessing_to_sister_Mary._God_bless! Margaret is the 1st widow we are listing who resides in the Kibera Slums. All but 1 child died of AIDS, she has one left. These slums are of the most impoverished & worst in the world, no words can describe them. Up to 50 people share the same mud "outhouse"! Her beloved husband got killed by a train. Please pray to become a monthly supporter of Margaret. Any amount will be a big blessing to this precious sister. 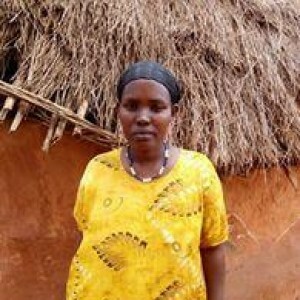 Dansa is a widow in our new fellowship site & is HIV positive. She has three children, two girls and one boy. The last born girl is also HIV positive. He husband died of Aids. She is considered and outcast from her family as so many widows in Kenya sadly are. She is really very needy widow as she has no shelter to live in, no food, she has nothing at all.She is asking everyone that comes on her way to buy food for her children. Nobody could bother to help her because she is HIV positive. Praying someone will help her in Jesus name. Eunice is a very poor widow with two sons and one daughter. Because of horrible economic conditions in Kenya, they are all jobless. Our Kenyan team is preaching to her as she was Anglican. We have got her out of that deception. Praise Jesus! Please help us support these precious souls. Safo has 4 children, 3 male and 1 female. Her husband died more than 15 years ago and she lost her daughter 10 years ago. Her last born whom she cares for is deaf and he's now 32 years old. She is very poor and needy. Sponsor her for any amount monthly. Beatrice's husband died 11 years ago. She is taking care of four orphan children. Please consider sponsoring Beatrice for any amount monthly as she lives in great poverty in one of the most impoverished places on earth. 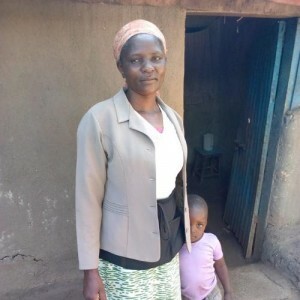 Kibera SlumKenya Beatrice Adhiambo53 Years OldFemaleBeatrice's_husband_died_11_years_ago._ She_is_taking_care_of_four_orphan_children._Please_consider_sponsoring_Beatrice_for_any_amount_monthly_as_she_lives_in_great_poverty_in_one_of_the_most_impoverished_places_on_earth. 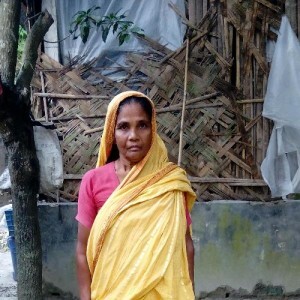 Saroti is a poor widow & lives on our new mission field in Horidhali, Ulludanga, Bangladesh. She is 40 years old & her husband died 12 years ago. She has 1 son and 3 daughters & lives in a mud house. She works tirelessly in the field to provide for her family but it's a great struggle. A monthly sponsor for any amount would be an incredible blessing She is a member at our house church & loves the Lord. Sorosshati is a poor widow who lives in an impoverished area. She is 45 years old & her husband died 5 years ago. She has 1 son and 2 daughters & lives in a mud house with her son and daughter-in-law. She loves the Lord and is in our local fellowship. Please sponsor her for any amount monthly to help her with necessities. 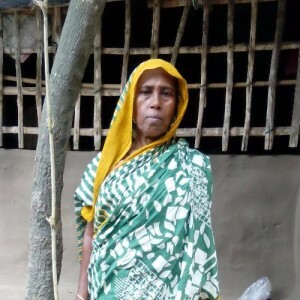 UlludangaBangladesh Sorosshati 45 Years OldFemaleSorosshati _is_a_poor_widow_who_lives_in_an_impoverished_area._She_is_45_years_ old_&_her_husband_died_5_years_ago._She_has_1_son_and_2_daughters_&_ lives_in_a_mud_house_with_her_son_and_daughter-in-law._She_loves_the_Lord_and_is_in_our_local_fellowship._Please_sponsor_her_for_any_amount_monthly_to_help_her_with_necessities. Pachi is 40 years old and lives in Ulludanga, Bangladesh. Her husband died 3 years ago, she has 1 son and 3 daughters .She lives in poverty in a mud house with her son and daughter-in-law. A sponsor for any amount would help her greatly with physical necessities. She is in our local fellowship and we preach to her the Living Water that is eternal. UlludangaBangladesh Pachi40 Years OldFemalePachi _is_40_years_old_and_lives_in_Ulludanga,_Bangladesh._Her_husband_died_3_years_ago,_she_has_1_son_and_3_daughters_.She_ lives_in_poverty_in_a_mud_house_with_her_son_and_daughter-in-law._A_sponsor_for_any_amount_would_help_her_greatly_with_physical_necessities._She_is_in_our_local_fellowship_and_we_preach_to_her_the_Living_Water_that_is_eternal. Joshomoti is in our local fellowship and loves the Lord. She is a 45 years old and has been a widow for 17 years. She has 1 son and 3 daughters & lives in mud house alone in great poverty. A sponsor of any amount would be a great blessing to this precious soul. UlludangaBangladesh Joshomoti 45 Years OldFemaleJoshomoti_is_in_our_local_fellowship_and_loves_the_Lord._She_is_a_45_years_old_and_has_been_a_widow_for_17_years._She_has_1_son_and_3_daughters_&_lives_in_mud_house_alone_in_great_poverty._A_sponsor_of_any_amount_would_be_a_great_blessing_to_this_precious_soul. Kalidashi is an 80 year old elderly widow who lives alone in a mud hut. Her husband died 23 years ago & she has 2 son and 2 daughters. She loves the Lord and go to our local fellowship in Ulludanga, Bangladesh. Please sponsor her to help provide necessities. 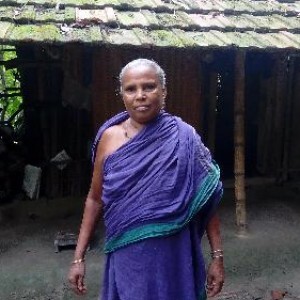 UlludangaBangladesh Kalidashi80 Years OldFemaleKalidashi _is_an_80_year_old_elderly_widow_who_lives_alone_in_a_mud_hut._Her_husband_died_23_years_ago_&_she_has_2_son_and_2_daughters._She_loves_the_Lord_and_go_to_our_local_fellowship_in_Ulludanga,_Bangladesh._Please_sponsor_her_to_help_provide_necessities. 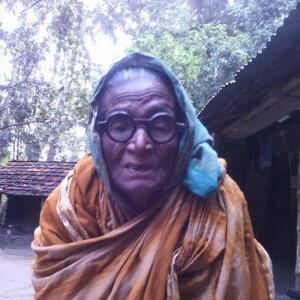 Komola is a 75 years old widow of 18 years and lives in Ulludanga, Bangladesh in great poverty. She has 2 sons & lives in mud house alone. She is a beggar and we need a monthly sponsor to help her in the name of Jesus. She is in our new local fellowship and help is on the way. Join us. UlludangaBangladesh Komola75 Years OldFemaleKomola _is_a_75_years_old_widow_of_18_years_and_lives_in_Ulludanga,_Bangladesh_in_great_poverty._She_has_2_sons_&_lives_in_ mud_house_alone._She_is_a_beggar_and_we_need_a_monthly_sponsor_to_help_her_in_the_name_of_Jesus._She_is_in_our_new_local_fellowship_and_help_is_on_the_way._Join_us. Sondha is a poor 65 year old widow who begs to survive. She lives from our new mission field in Ulludanga, Bangladesh and is now in our local fellowship there. Her husband died 13 years ago & she has 2 sons and 5 daughter. She lives in mud house alone and loves the Lord. Help us provide for this precious soul that should not have to beg for necessities. UlludangaBangladesh Sondha65 Years OldFemaleSondha_is_a_poor_65_year_old_widow_who_begs_to_survive._She_lives_from_our_new_mission_field_in_Ulludanga,_Bangladesh_and_is_now_in_our_local_fellowship_there._Her_husband_died_13_years_ago_&_she_has_2_sons_and_5_ daughter._She_lives_in_mud_house_alone_and_loves_the_Lord._Help_us_provide_for_this_precious_soul_that_should_not_have_to_beg_for_necessities. 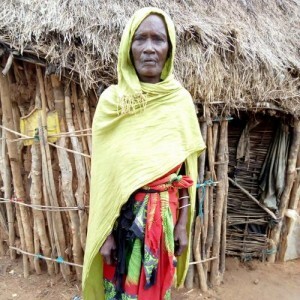 Herina is a 71 year old impoverished widow living in Kenya. Both her sons dies of AIDS and her husband died 7 years ago. 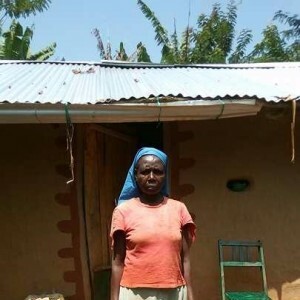 Widows are not treated well in Kenya so a monthly sponsor would be a huge blessing to Herina. You choose the amount and every dollar counts. 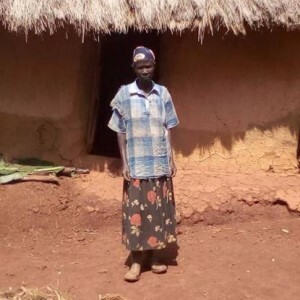 SegaSiayaKenya ​Herina Atieno71 Years OldFemaleHerina_is_a_71_year_old_impoverished_widow_living_in_Kenya._Both_her_sons_dies_of_AIDS_and_her_husband_died_7_years_ago._Widows_are_not_treated_well_in_Kenya_so_a_monthly_sponsor_would_be_a_huge_blessing_to_Herina._You_choose_the_amount_and_every_dollar_counts. Margaret is a young widow and she just lost her husband 2 months ago as he was murdered in the election chaos. She has 3 children and a sponsor would be a blessing like no other. Help this young widow provide for her family by sponsoring for any amount monthly. SegaSiayaKenya ​Margaret Akinyi37 Years OldFemaleMargaret_is_a_young_widow_and_she_just_lost_her_husband_2_months_ago_as_he_was_murdered_in_the_election_chaos._She_has_3_children_and_a_sponsor_would_be_a_blessing_like_no_other._Help_this_young_widow_provide_for_her_family_by_sponsoring_for_any_amount_monthly. 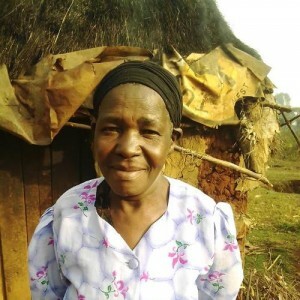 Eveline is a 65 year old widow that lives in Siaya, Kenya. She is impoverished as she lost husband 15 years ago. Widows are basically an outcast in Kenya so help us minister to Eveline by becoming her monthly sponsor. Millicent lost husband 4 four years ago in a road accident. She has 3 girls and no one can find suitable work in this very poor part of the world where the average income is less than $1/day. Please sponsor her to help us minister the love of Christ to her family. SegaSiayaKenya ​Millicent Akello60 Years OldFemaleMillicent_lost_husband_4_four_years_ago_in_a_road_accident._She_has_3_girls_and_no_one_can_find_suitable_work_in_this_very_poor_part_of_the_world_where_the_average_income_is_less_than_$1/day._Please_sponsor_her_to_help_us_minister_the_love_of_Christ_to_her_family. Bokayo is a 37 year old widow & has two boys and two girls. Her husband died three years ago from a heart attack. They live in a tribal area of Northern Kenya and struggle to put food on the table. A monthly sponsor of any amount would be a huge blessing. Jane Situma is a widow who was affected by 2007/2008 election chaos. Her husband died of malaria 12 years ago and left her with six children to take care of, the youngest being 13 years old currently. Support Jane to take care of the necessities for her and her children. 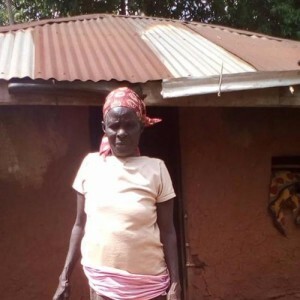 Moi's BridgeKenya ​Jane Situma59 Years OldFemaleJane_Situma_is_a_widow_who_was_affected_by_2007/2008_election_chaos._Her_husband_died_of_malaria_12_years_ago_and_left_her_with_six_children_to_take_care_of,_the_youngest_being_13_years_old_currently._Support_Jane_to_take_care_of_the_necessities_for_her_and_her_children. 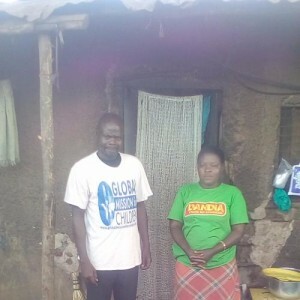 Judith Owino is a sister in our church and lost her husband 13 years ago due to tuberculosis. She has 7 children; 5 sons and 2 daughters, the youngest being 13 years old. She has 3 grandchildren to take care of too. A monthly sponsor would be an incredible blessing as she struggles to take care of the necessities for her children & grandchildren. 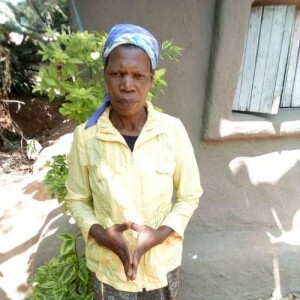 Moi's BridgeKenya Judith Owino56 Years OldFemaleJudith_Owino_is_a_sister_in_our_church_and_lost_her_husband_13_years_ago_due_to_tuberculosis._She_has_7_children;_5_sons_and_2_daughters,_the_youngest_being_13_years_old._She_has_3_grandchildren_to_take_care_of_too._A_monthly_sponsor_would_be_an_incredible_blessing_as_she_struggles_to_take_care_of_the_necessities_for_her_children_&_grandchildren. Esther Nekesa is a widow of 18 years as he died in an accident. She is one of those who was affected by the 2007 /2008 post elections clashes. She lost some of her family members in the clashes. She has 4 grown children but they are unable to support her. She has 4 grandchildren she takes care of too. Please sponsor her for any amount yuo chooose monthly as every dollar helps these precious souls. 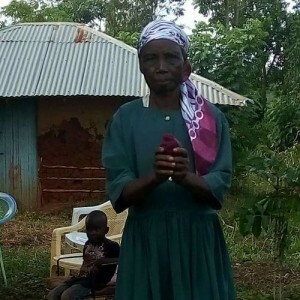 Moi's BridgeKenya ​Esther Nekesa73 Years OldFemaleEsther_Nekesa_is_a_widow_of_18_years_as_he_died_in_an_accident._She_is_one_of_those_who_was_affected_by_the_2007_/2008_post_elections_clashes._She_lost_some_of_her_family_members_in_the_clashes._She_has_4_grown_children_but_they_are_unable_to_support_her._She_has_4_grandchildren_she_takes_care_of_too._Please_sponsor_her_for_any_amount_yuo_chooose_monthly_as_every_dollar_helps_these_precious_souls. Mary Ingosi is a 76 year old widow of 21 years in our fellowship.She has 6 children, 2 sons and 4 daughters, the youngest is 26 years old. Her husband died of an unknown disease. She does manual jobs on people's farms for survival. Please help us support this precious soul. You choose that amount monthly, anything is a blessing to these impoverished widows in a forgotten, "far away" land. 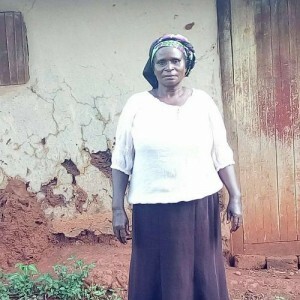 Moi's BridgeKenya ​Mary Ingosi76 Years OldFemaleMary_Ingosi_is_a_76_year_old_widow_of_21_years_in_our_fellowship.She_has_6_children,_2_sons_and_4_daughters,_the_youngest_is_26_years_old._Her_husband_died_of_an_unknown_disease._She_does_manual_jobs_on_people's_farms_for_survival._Please_help_us_support_this_precious_soul._You_choose_that_amount_monthly,_anything_is_a_blessing_to_these_impoverished_widows_in_a_forgotten,_"far_away"_land. Monica lost her husband in 2010 from a cholera outbreak. She is a struggling mother of six siblings that needs monthly support. She lives in one of the most impoverished places on earth, the Kibera Slum, Kenya. Lokho's husband died 8 years ago from high blood pressure! She lives in great poverty & has has 3 boys and 1 girl. We are praying for a sponsor as soon as possible so she does not have to struggle daily for food and water. Her husband died while they were just 5 years into their marriage. She has only one daughter & is a very needy widow. Saku's husband died 8 years ago due non-stop bleeding from mouth. She is a very needy widow from our newer mission field in Ethiopia. 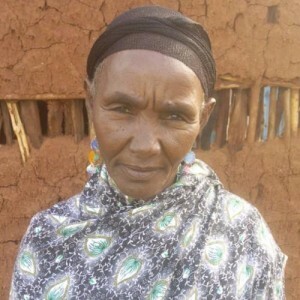 Golole GodaKenya Qabale Qalla 45 Years OldFemaleSaku's_husband_died_8_years_ago_due_non-stop_bleeding_from_mouth._She_is_a_very_needy_widow_from_our_newer_mission_field_in_Ethiopia.